For the adult beverage market TOPAZ Digital are in a unique position to be able to offer an extensive range of technological solutions to both broadcast your message in a dynamic and eye catching way, increase recall of message and influence buyer behaviour, plus the ability to interact directly with your target market all whilst controlling your messaging from regional or national headquarters putting you & your marketing team in total control. Available in sizes from 10” – 55” wall mounted, 38” Stretch or 50” & 55” Freestanding this solution includes everything you need to create powerful digital signage and is as simple to deploy as selecting the desired screen size, adding power and connecting to your network either via the built in Wi-Fi or LAN port. The software we include allows you to log into the cloud based portal from any internet connected device anywhere in the world and quickly and easily send new content to your network. From a design perspective all our displays feature the modern and clean appearance of a tablet like display with edge to edge glass ensuring your facility is portrayed in a modern and hi-tech way. Our Touch Series offer commercial grade Multi touch technology utilizing IR Touch the most robust and hardwearing touch technology available. Available in sizes 32” right through to 84” as wall mounted solutions and 46” & 55” Freestanding solutions these displays enable any interactive application to be delivered with stunning effect. 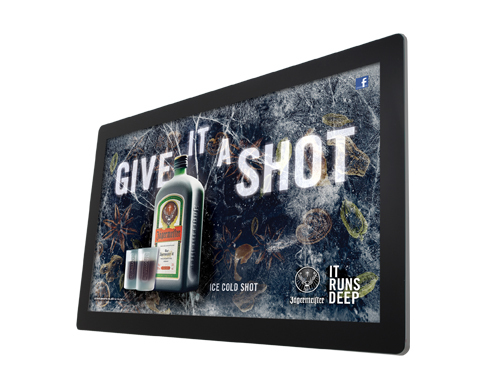 We also offer 10 point multi-touch technology with our P-CAP range for those looking for the most striking touch displays to engage their audience with. Digital Signage provides you with a dynamic way to reach out to your consumer & to get your message across effectively. Which do you think is more impactful or has greater recall… A paper poster or a message displayed dynamically on a digital signage system? Ensure your customers see the messages you want them to and absorb the information displayed. 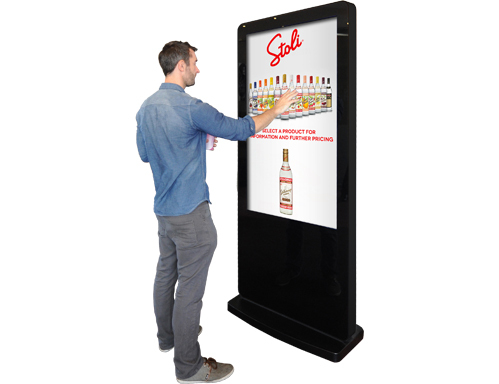 Build brand focused end caps incorporating digital signage to ensure your brand stands out in the liquor store. Run dynamic content that entices consumers to stop and shop for your product. 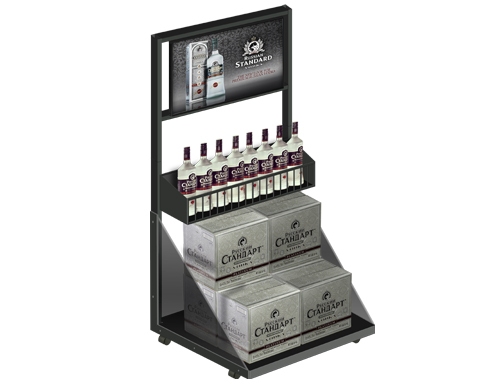 End Caps with digital signage built in are one of the most effective tools to build awareness and drive sales, our Freestanding displays are perfect for this! Engage with the audience like never before right at the POP. Have them experience your brand as you want to be seen and sign them up on the spot for your digital marketing campaign. 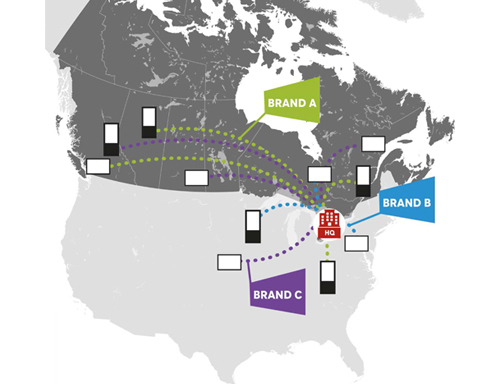 Instead of running multiple print runs, shipping all over the country and then relying on people to actually change the message allow your marketing department to take full control and send messaging out by region, country or globally in an instant all from head office! Digital signage enables you send dynamic content out in an instant to any store in the world. As well as enhancing the sales of product the additional space gained by being able to run multiple messaging from the one location enables you to ensure you are always displaying compliance information plus this can be updated and kept current instantly without the need to reprint posters. 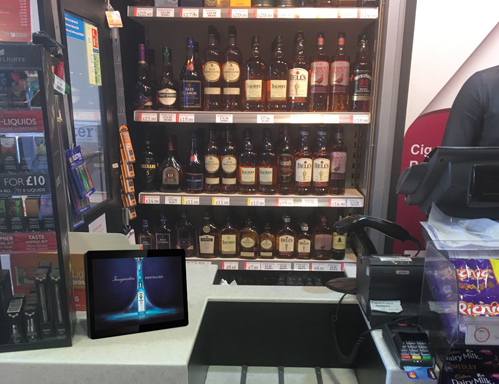 With the ability to directly affect a consumers purchasing decision in the store digital signage offers a unique ability to directly increase gross sales and push higher margin products to ensure increased profitability. As well as increasing the direct revenue / profitability it also opens up value added benefits such as the ability to brand build to create the brand vision with the consumer, interact with the customer in an engaging way and immediately sign consumers up to regular marketing campaigns. However digital signage also saves money versus traditional in-store marketing strategies and can radically improve efficiency when done right. 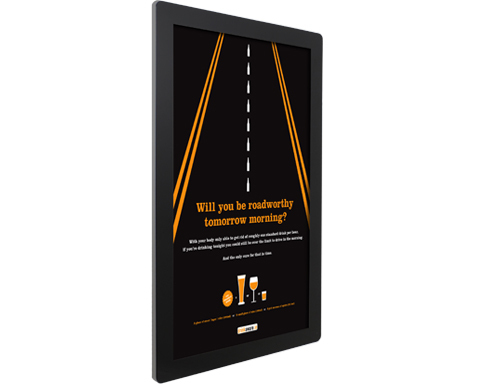 By replacing posters and notices and Turning them into digital messages you are saving money! Think of all the printing costs saved by not having to print all those posters and ship them around the country plus the time saved in getting your message out there. Plus, it’s great for your Carbon Footprint! No longer are you relying on the store to update posters and replace out dated ones nor are you having to send staff around to check….Everything is controlled centrally from one desk! Due to the engagement of digital signage it is a great vehicle to build on the brand values and messaging. As a business you want to engage and excite your consumer with the history and back story of how the brand came to be, what it stands for and what makes you unique. With digital signage you are able to both convey this message via dynamic video using broadcast displays and actively involve the consumer in interactive applications on touch displays to really make them feel involved! Digital signage improves efficiency both in respect of being able to get messages out quickly vs traditional printed methods but also in respect of being able to show multiple messages in the same spot versus the limitations of a single poster. When you have a key promotion that is time sensitive you can have a template ready to quickly update and push across your network…to the consumer.